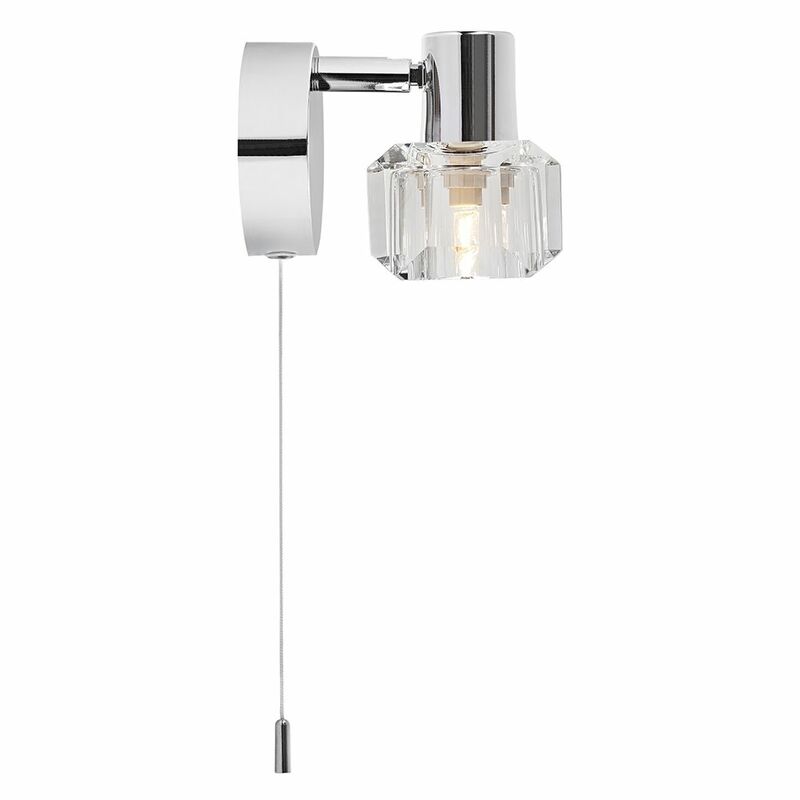 Contemporary and compact polished chrome wall light fitting. 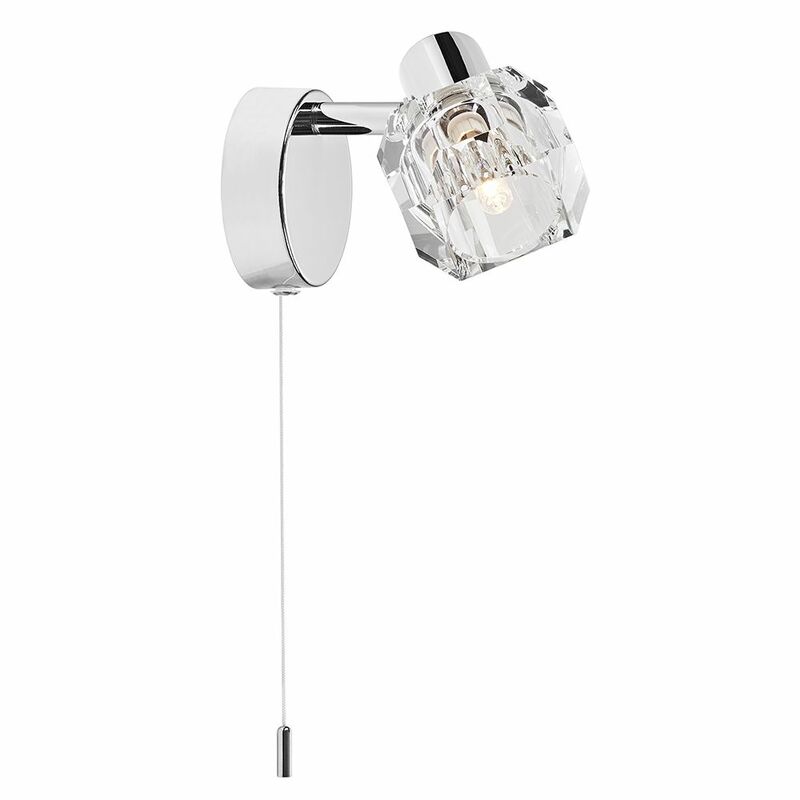 Complete with chunky transparent ice cube glass shade. Features white pull cord switch button. The head is fully adjustable in all directions. Requires 1 x G9 halogen bulb - maximum 40watt (not included). Height: 10cm, Width: 8cm, Projection: 17cm.